Dairy producers may soon be able to improve the quality of their products, including extending product shelf-life, thanks to the work of a group of US scientists. Published in volume seven, issue four, of the MBio journal, the scientists have discovered the bacterial flora in each batch of raw milk is unique and that it changes with the weather. With this new knowledge, the scientists say they can now try to better understand and control the microbes coming into processing facilities and thereby avoid some food waste. “The ultimate goal in all of this research is to get dairy products with longer shelf life, less spoilage, and less waste,” said one of the scientists, Dr Maria Marco, from the University of California-Davis. “We don’t know what kind of influences the environment has on the microbiome on our foods, and this study is a step forward in that direction,” she said. The microbial component of raw milk inevitably has an impact on the quality, shelf life and the safety of processed milk and other dairy products. While harmful bacteria rarely reach the consumer as they are destroyed during pasteurisation, other bacteria can cause spoilage or defects in the product, such as off-flavours in cheese, which can result in product having to be discarded. During the study, the scientists studied raw milk collected for large-scale processing in California. 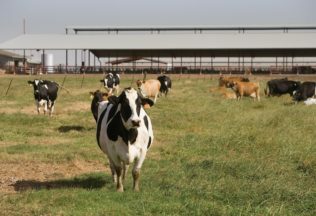 California is the largest producer of milk in the United States, producing 20 per cent of the total U.S. milk production. The scientists analysed the bacteria in raw milk arriving in 899 tanker trucks at two different dairy processors in the California Central Valley in the autumn of 2013 and the spring and summer of 2014. The scientists found that the bacteria were “highly diverse” with changes according to season. By being aware of the types of microbes present in foods, scientists can devise ways to manage or get rid of spoilage microbes, so they do not make their way into the final product where they may cause quality problems. “This study was an exploratory mission to find out what types of bacteria are in our raw milk and what happens to them when they reach the built-environment,” said Dr. Marco. “We now need to tackle the bigger problem of how can we control those microbes in an effective way,” she stated.